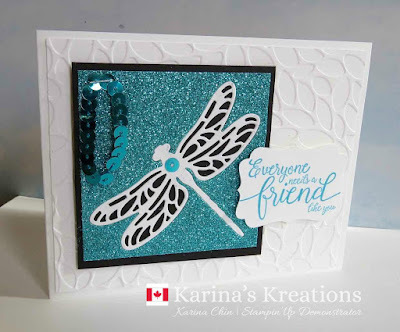 Karina's Kreations: Stampin'Up Dragonfly Dreams! Isn't this a gorgeous card? 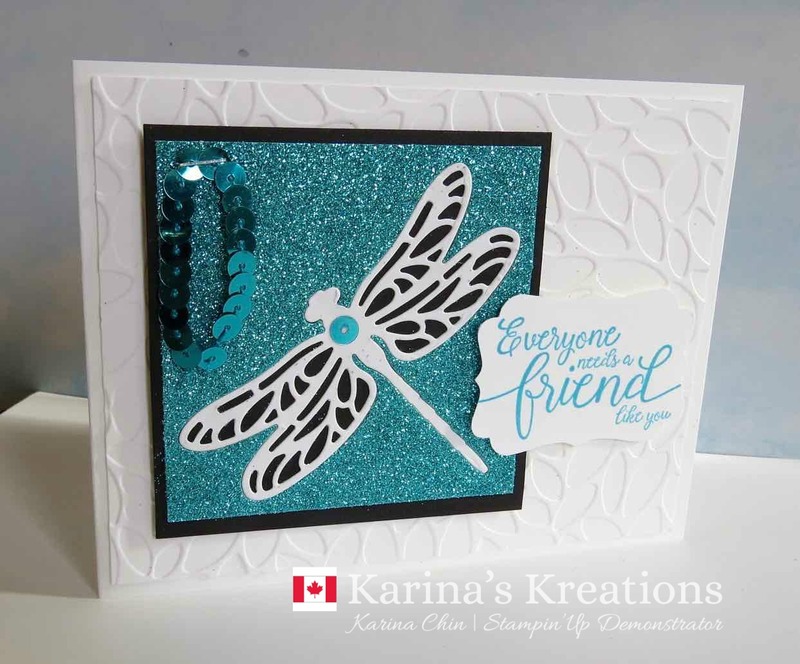 I love the Bermuda Bay glimmer paper which is Free with a $60.00 order. The Glimmer pack has three colors, Mint Macaron, Sweet Sugarplum and Bermuda Bay in the pack #143831. Live in Canada? Click here to order!